Land purchases require specific tests, studies, and research which as experts in land transactions in the Myrtle Beach area, we are very experienced in. We can help you locate the dream property you desire and then walk you through the entire process from start to finish for sale or purchase. Land in the Myrtle Beach area is abundant. Large tracts of vacant acreage are available throughout Horry County. Developers and builders will find land at affordable prices here, compared to almost every other coastal community on the eastern seaboard. With plenty of home buyers flocking to the area from the north and the south, there is a huge demand for new homes. With plenty of lots available in hundreds of new developments in the area, you will have no problem finding a neighborhood that fits your style. Luxury homes, Charleston Style homes, Mediterranean style homes, and more can all be found in new neighborhoods throughout the Grand Strand. Some communities offer large lots from 1-3+ acres. Other neighborhoods feature oceanfront, lakefront and golf course lots. 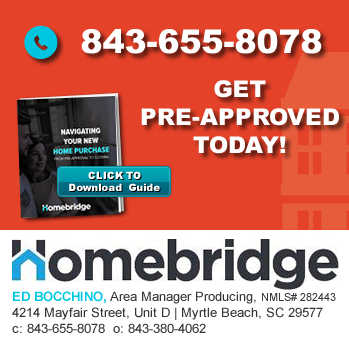 Whether you are a builder, a home buyer, or an investor, the selection of lots and land throughout the Myrtle Beach area is excellent. In addition to individual lots for residential development, plenty of commercial land is available in high visibility, high traffic areas. With the increase in homes being built and purchased, the increase in population boosts the demand for shopping centers, grocery stores, restaurants and more. There is a piece of land that will meet your requirements in Myrtle Beach. No matter what your specific needs are, there is a unique opportunity for both residential and commercial development all across the area. Call me today to find the land that is perfect for you! For additional information about buying or selling land in Myrtle Beach and the surrounding areas please contact us today at 843-424-6900 or email us. Listing courtesy of Litus Properties/Residential , Kathy Foxworth. Listing courtesy of Keystone Realty MB, LLC , Nick Sherfesee. Listing courtesy of Keystone Realty MB, LLC , Val Trask.